Delicious Thai fruits are in peak season in this month. Don't miss the best chance to taste them. Thai people in each region have learned and exchanged their fabric arts and techniques together. That's why some kinds of clothes are found in many regions. Today, various kinds of local Thai cloth are very attractive souvenirs that gain the popularity from many visitors. The multi-purposed cloth, made of cotton. Most Thai men use it as turbans, stoles, bathing cloth, as stoles or to scatter insects and mosquitoes, or even to fashion a hammock for baby. It is available throughout the country. A type of material with silver and gold strands either at the hem or throughout the entire piece. Using techniques similar to those applied on Pha Khit. This type of cloth can be found in Chiang Mai, Lamphun and Lampang in the North, Roi Et in the Northeast, and Surat Thani and Nakhon Si Thammarat in the South. The material contains flowing patterns not unlike the ripples of water. Made mainly in Nan, Chiang Rai and Phayao, the patterns have undergone changes and now include rainbow and spider-like designs. The colorful-patterned cotton from the South. Its patterns are created by wax painting and dye techniques. 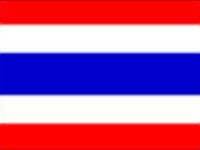 Yala and Narathiwat are the two main producing provinces. The cloth made of cotton and synthetic material from Koh Yo island of Songkhla. The many patterns available have different attractiveness and quite popular. The famous cotton printed material that gives off a glittering effect. Most of the patterns are of Thai design and reproduced in golden color. It is very famous cloth made in Hua Hin district of Prachuab Khiri Khan. Khommaphat material today is used for making dresses.